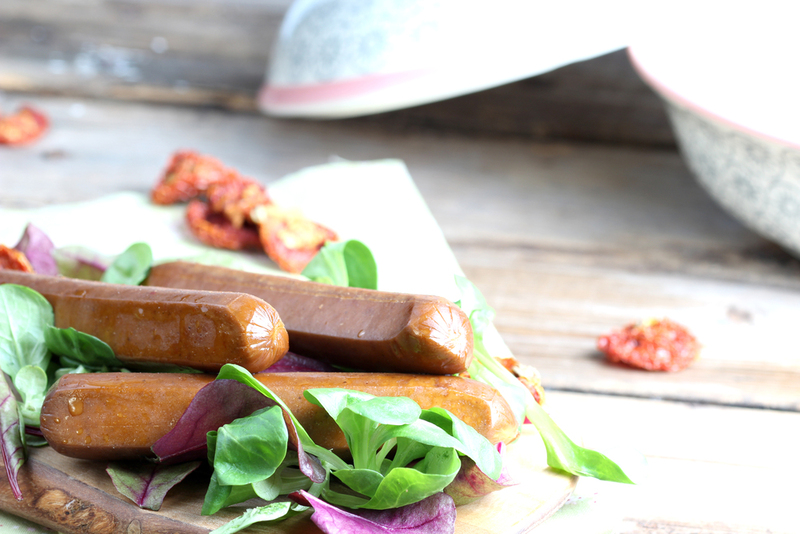 Wheaty® sausages Country Style are firm and taste familiar. Their fine taste of smoke remind one of a real fried sausage. Enjoy them by frying them in a pan or on a spit around the bonfire. It will hold firmly together for the perfect BBQ! Lactose-free, without eggs and super-tasty! Wheaty® products are generally suitable for freezing and defrosting. 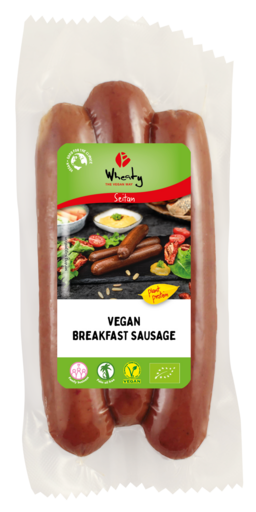 seitan* (water, WHEAT protein*) 86%, high oleic sunflower oil*, coconut fat*, rock salt, spices* (contains CELERY* and MUSTARD*), yeast extract*, thickening agent locust bean gum* and guar gum*, onion*, red bell pepper*, paprika extract*, smoke**. * = certified organic. **= natural beech wood smoke.